eRealty Media serves over 100 teams. 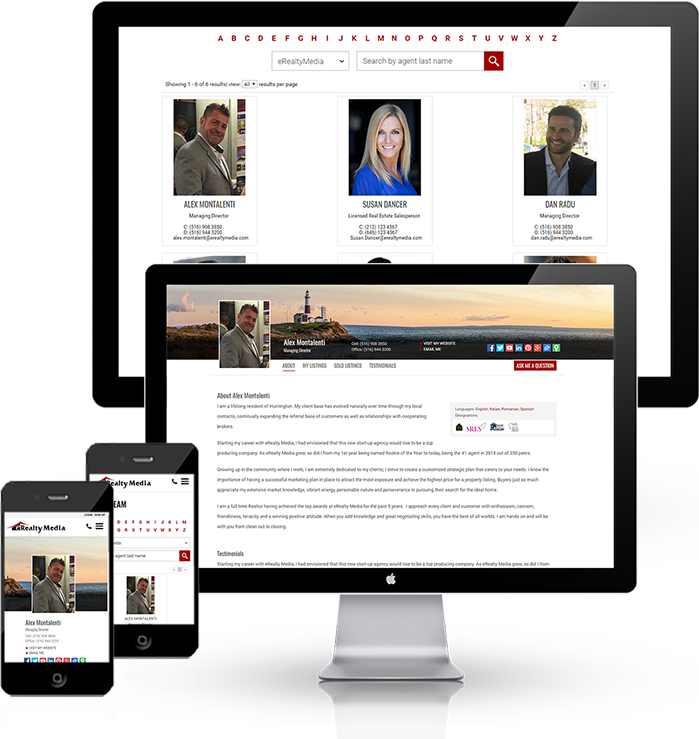 Our Agent Solutions vary from single pages for agents to fully custom agent websites. Have a look below at some of the features of our solution. We have all heard the statistic that over 80% of searches begin online. Well did you know that over 50% of searches begin on a mobile device. 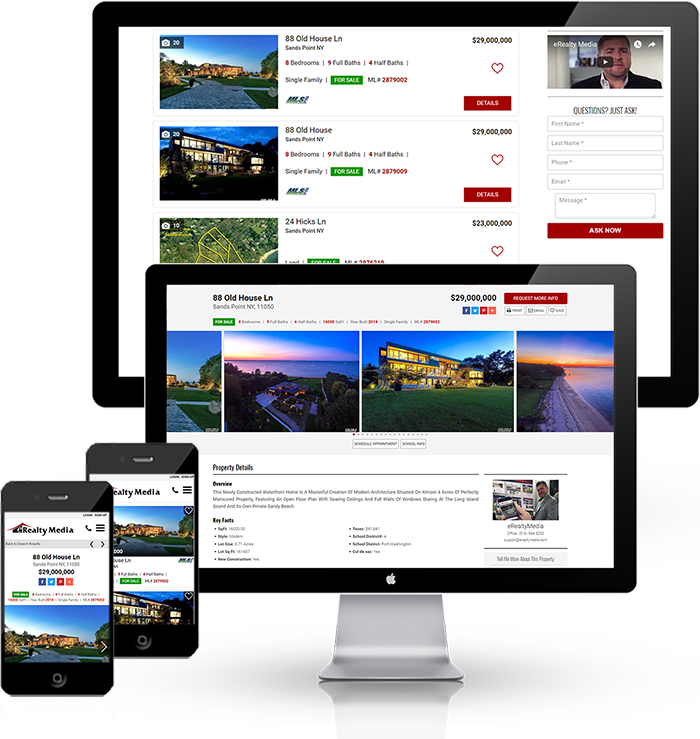 Our new mobile responsive technology makes it easy for customers to browse properties from their phone or tablet. 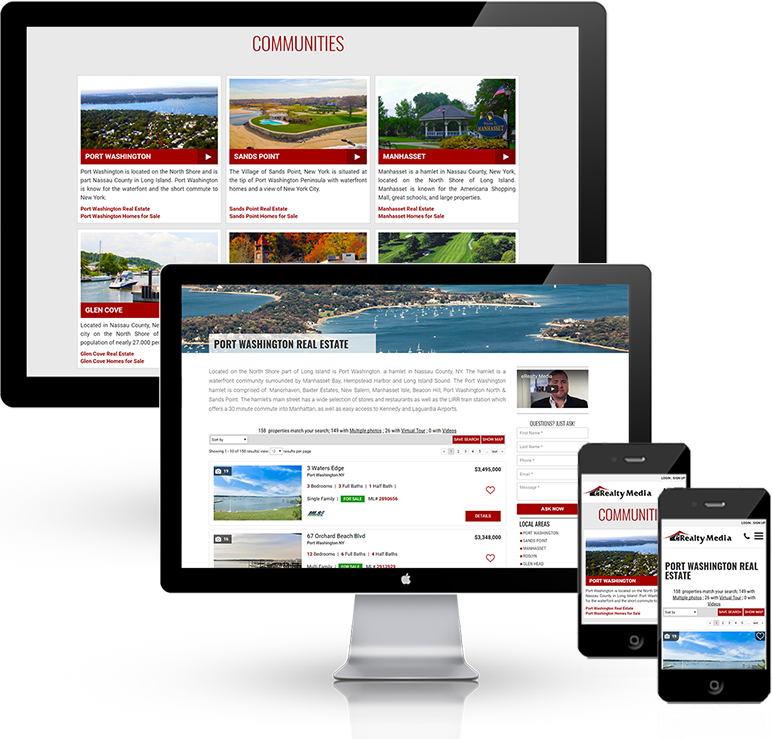 We focus your website on the local communities or keywords you serve most. This gives your site top placement on Google as one of the leading sites of that community or keyword. When your clients click a town we show the search results in that town and all the local info about that town. We offer classy agent pages for every agent. This mini-website has a navigation for their about, listings, sold listings and testimonials.